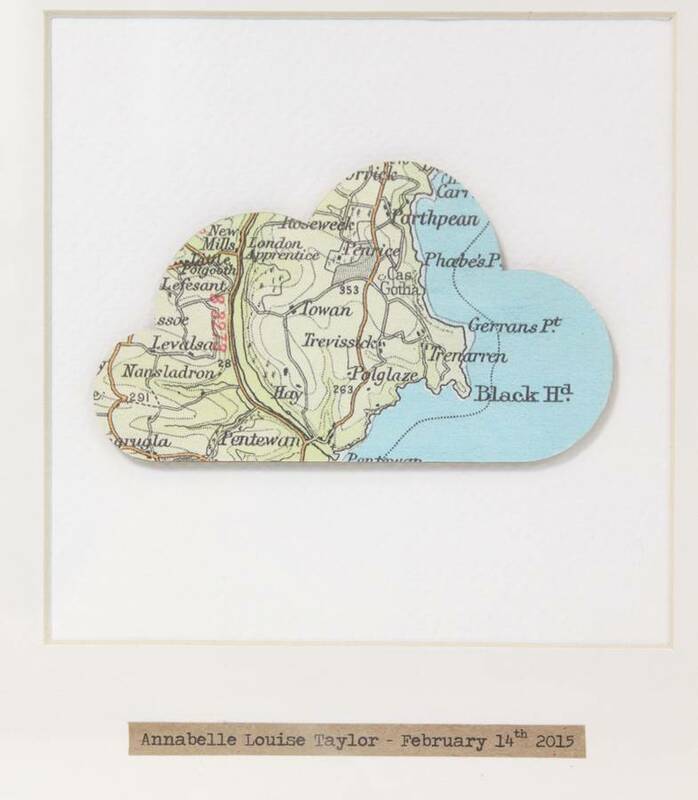 Beautiful personalised vintage map cloud picture, perfect for your newborn's nursery. A perfect and addition to your child's nursery or new home. 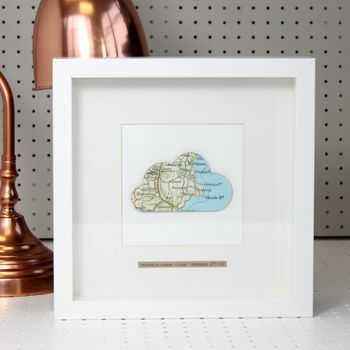 Mark a special place and memory with this personalised picture, mounted onto a wooden cloud shape. 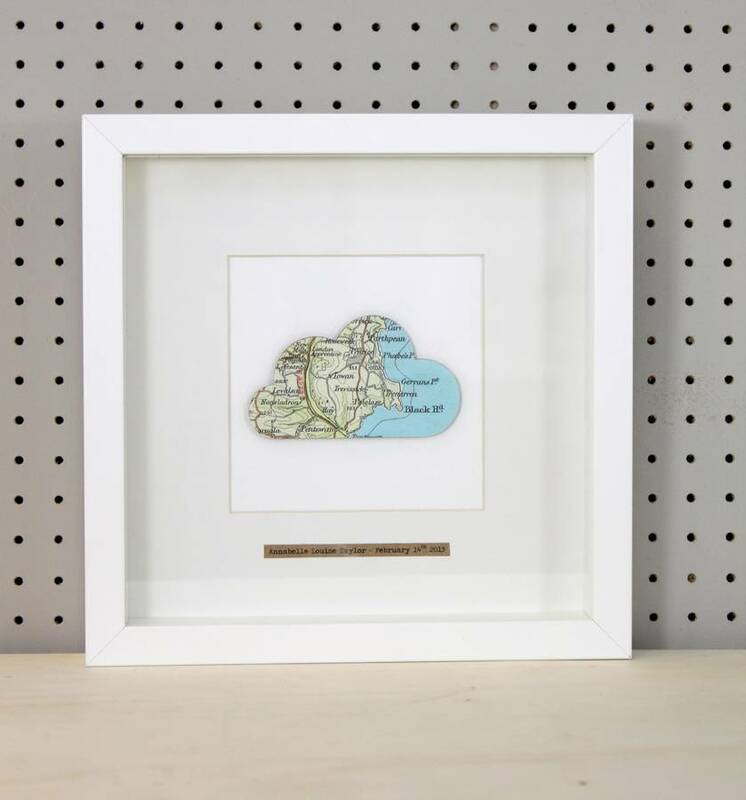 We use a collection of vintage maps to source your location and if chosen, we will add your message in a typewriter style font at the bottom. The frame measures 23cm x 23cm and the internal image (within the mount) measures 12cm x 12cm.